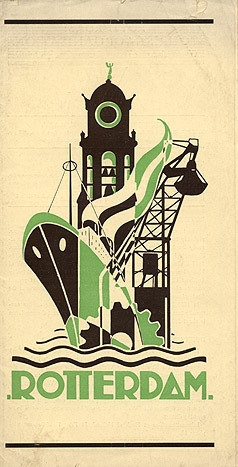 Travel brochure "Rotterdam," 1931. Unsigned. Published by the Rotterdam Tourist Bureau.